Double Dee and Steinski Official Site — New track from Double Dee (feat. ADA)! "What's The Angle? New track from Double Dee (feat. ADA)! "What's The Angle? We're extremely excited to announce a brand new track from Double Dee featuring the brilliant turntable skills of ADA! "What's The Angle?" is an exclusive new single created and produced by Double Dee and officially introduces ADA to the DDS family. Using bits and pieces from classic Soul and Rock classics, "What's The Angle?" is a power mashed breakbeat romp that revels in asking a question that has no answer. Originally conceived as part of a longer suite still in the making, it's been reworked into a feature for our new friend ADA to add his own flavor to the mix. 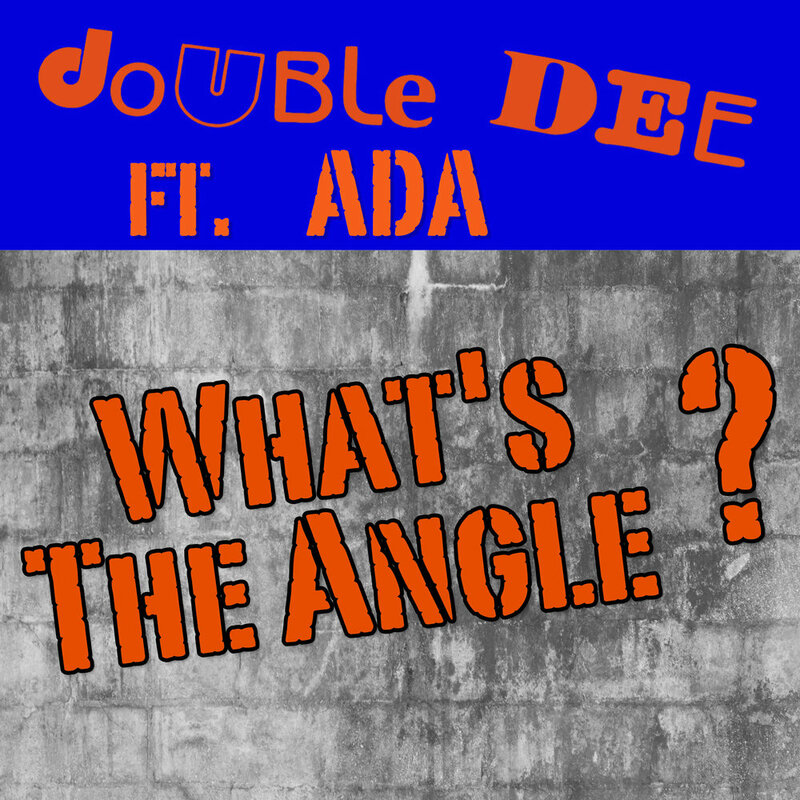 "What's The Angle" is rooted in a crunchy rock flavored funk loop, and provides a solid backdrop for ADA's interpretation of a motivational speech that gets stuck in a black hole of big beats. Almost all of the voice bites (and other elements) are scratched up by ADA and then lovingly mixed by Double Dee into a song that you never heard before. Originally from the Bay Area, ADA is a relatively unknown producer/DJ with a growing body of work of sample-based music. He's been previously featured on Billy Jam's "Put The Needle On The Record" radio show on WFMU and Pipomixes.com, and is a self-proclaimed superfan of Double Dee & Steinski. After contacting us a few years ago, he was first invited to lend his scratching skills on TV promos for "The Carbonaro Effect" which Double Dee produced for TruTV and has since turned into a wildly popular campaign for the show. He's studied the Lessons for years and is now ready to pass on his knowledge to the world. You've been hooked, you've been crooked, you've been lied to so many times... What's the angle? It's your thing. Look at the angle. Don't miss it. Exclusively available for digital download on Bandcamp and soon to be pressed on limited edition 12" vinyl ! Profound lessons and stories from Double Dee, Steinski and friends. Check out some classic Double Dee & Steinski press, plus the original Tommy Boy contest ad which led to us recording Lesson One!